Industry grinds to a halt. Traffic stands gridlocked. Lights in dangerous areas go out. People sit in the dark. Whereas Christmas should usher in a time of jovial spirit, this December once again brings in load-shedding for South Africans. As the supply of electricity from Eskom becomes intermittent at best, along with the looming implementation of expropriation without compensation, the economy is set to be beaten down even more. This is a result of socialism, of a government that believes it must rule every aspect of our lives, and that only it can provide us with electricity. The trials and tribulations of Eskom are well documented. Despite the repeated failures, the state-enforced monopoly of Eskom has not been broken up. Eskom can fail time after time and it will simply be helped out by the government. The problem is, whenever a failing SOE such as Eskom or SAA goes cap-in-hand to the government, it is not the government that has to give the money. Taxpayers fund everything government does, therefore we, the taxpayers, are being forced to rescue an entity that no longer deserves any aid. When an SOE fails, the buck is always passed on to the taxpayer. Whether it is fossil fuels or renewable energy, or both, only competition in the energy sector will cure the prevailing situation. Eskom has no competitors to improve its performance. Instead, it has government always there to bail it out with taxpayer money. By virtue of the very nature of a free market, businesses have to compete with each other to earn the customer’s Rands. Eskom has no reason to improve its service, nor to adequately plan for the future because it has no one to challenge it. Energy is of paramount importance to a developing economy. Developed, Western nations can focus on preferred renewable energy because they already have a secure base. We, a developing country, do not. We need an abundance of energy, and independent power producers should be free to generate and provide any form of electricity which the consumer will choose. Without a reliable energy source, people cannot trade or grow their businesses. The coming job losses will not be a result of free markets and capitalism; they will result from socialism in the form of Eskom’s failures, EWC, and the National Minimum Wage. Without electricity to operate our water pumps, the taps will eventually run dry. Whether it comes from Eskom or a private entity, people will pay for the electricity they need to use. Why place Eskom at the centre when there are many private providers who could compete with each other, and even lower prices for consumers? Competition and choice should be applied to the energy market, not the regressive view that government must provide all we may need. Independent power producers should be allowed to sell directly to consumers without having to go through the inefficient middleman that is Eskom. When a ‘business’ such as Eskom operates with government backing, we witness the result of socialism, of government control, every single time the lights go out. Yes, we can examine the role the Guptas and state capture played in this whole story. State capture would never be so great a problem if the state was not so massive, and so lucrative, to capture in the first place. The philosophical point is that, if we grant government this much power over our lives, any abuse or failure of that power has debilitating consequences for the entire economy. 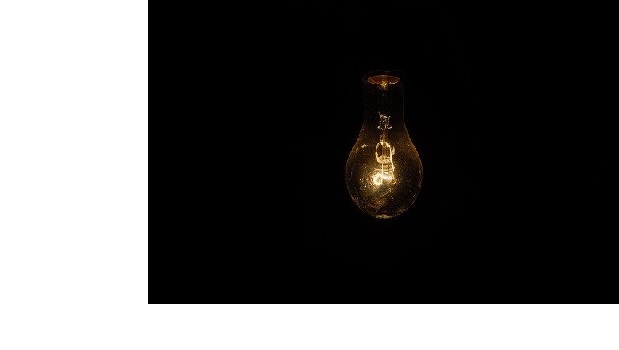 When the philosophy is socialism, the concrete example of that abstract concept is load-shedding, or complete blackouts. The latest news regarding Eskom’s financial situation is that it will ask government to transfer R100bn of its debt onto its own balance sheet. This move would add 2% to the government’s debt-to-GDP ratio. Our government simply spends too much for what it ‘earns,’ and once an SOE such as Eskom folds, the run on the country’s fiscus would be devastating. Ultimately, it does not matter who is in charge of an SOE. By the very nature of socialism, the premise is that government can operate x better than the individual or any solution the market would produce. Eskom simply perpetuates the flawed Apartheid-socialist thinking of the past. Always keep in mind that nothing is ever ‘government funded’; all government projects are taxpayer funded. South Africans already pay higher taxes for the failures of government; for Eskom to take even more from us just adds insult to injury and we cannot allow this to continue. Socialism means government is paramount; socialism means the government’s power over our lives becomes more entrenched year after year. If the problem is not tackled at its root, Eskom’s continued failures will leave us in the dark for many years to come.